Here at Heatworks Heating & Plumbing Ltd, we have been providing plumbing services such as Boiler Installation, Boiler Repair, Central Heating Installation, Power Flushing, Gas Cooker Installation, Bathroom Installations, Shower Room Installations, Landlord Gas Safety Inspections, Boiler Servicing and Central Heating Maintenance to clients throughout Southampton and the surrounding areas of Hampshire for many years now. We also offer boiler payment plans, boiler care plans, central heating care plans and boiler finance to all of our clients throughout Southampton. If you are looking for a Green Deal Registered Installer & Worcester Bosch Accredited Installer, then look no further than Heatworks Heating & Plumbing Ltd, we are always here to help. Established in 2011, our reputation has been founded on honest, hard work that you can rely on. Our expertise and knowledge make us the number one choice for plumbing and gas services in the Southampton area of Hampshire. 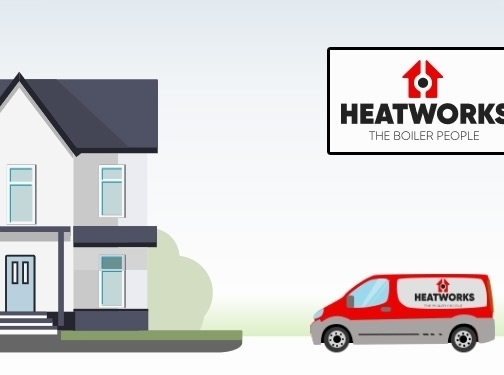 Whether you are looking for boiler installation for your home or central heating servicing for your business, Heatworks offers reliable heating and plumbing engineers that provide you with a professional service at an honest price. Our friendly and experienced team are here to help. Get your free, no-obligation quote today and be one-step closer to peace of mind. Are you in search of a professional and experienced Gas Safe Registered and Worcester Accredited plumbing and heating company in Southampton or the surrounding areas of Hampshire? If so, look no further than Heatworks Heating & Plumbing Ltd. We care about and value each and every one of our clients and we go the extra mile to ensure that we meet all of your needs and requirements, day in, day out. As a professional trading company with the same level of passion and dedication that we had when we first started our business, we are fully insured, all work is guaranteed, and customer satisfaction is paramount to our continuing success in Southampton. At Heatworks Heating & Plumbing Ltd in Southampton, we offer many plumbing and heating services including Boiler Finance, Boiler Care Plans, Central Heating Care Plans, New Boilers, Boiler Installation, Boiler Repair, Central Heating Installation, Central Heating Maintenance, Power Flushing, Gas Cooker Installation, Bathroom Installations, Shower Room Installations, Landlord Gas Safety Inspections and Boiler Servicing to our clients in and around the Southampton area of Hampshire. Get in contact with us today by using our website or the number provided and speak to one of our fantastic team here at Heatworks Heating & Plumbing Ltd.
We are blessed with a magnificent team of Worcester Accredited and Green Deal Registered plumbers here at Heatworks Heating & Plumbing Ltd in Southampton who are always ready to take on jobs throughout Hampshire. No job is too big or too small for us here at Heatworks Heating & Plumbing Ltd, we undertake jobs of all sizes to ensure that we meet every single one of our client’s requirements with our services such as Boiler Finance, Boiler Care Plans, Central Heating Care Plans, Boiler Installation, Boiler Repair, Power Flushing, Central Heating Installation, Power Flushing, Gas Cooker Installation, Bathroom Installations, Shower Room Installations, Landlord Gas Safety Inspections and Central Heating Maintenance. You’ll find us on the Gas Safe Register and our high standards are matched by the high quality Worcester Bosch boilers that come with up to 10 years guarantee. This means that your central heating is one less thing to worry about. When you choose Heatworks for plumbers in Southampton, we guarantee that you'll receive a completely professional gas and plumbing service, regardless of which boiler manufacturer you use. If you are based in Southampton or the surrounding areas of Hampshire and are looking for a Worcester Accredited plumbing and heating company who care about and value their clients, look no further than Heatworks Heating & Plumbing Ltd. We provide services such as Boiler Finance, Central Heating Care Plans, Boiler Care Plans, Boiler Installation, Boiler Repair, Power Flushing, Central Heating Installation, Power Flushing, Gas Cooker Installation, Bathroom Installations, Shower Room Installations, Landlord Gas Safety Inspections, Boiler Servicing and Central Heating Maintenance. Why not take a look at our website to see a full overview of the plumbing and heating services that we provide? Alternatively, give us a call directly on: 02380 445 123 and one of our team will be happy to take your call and deal with any enquiries that you may have. We look forward to hearing from you. UK (Southampton) based business - established in 2011 - providing boiler installation/repair, plumbing and heating engineering services. Website includes details of services provided, testimonials, accreditations and certifications gained, terms and conditions, full contact details including company registration number.